In Week 24 Alphonse Island welcomed back a great family and friends group. 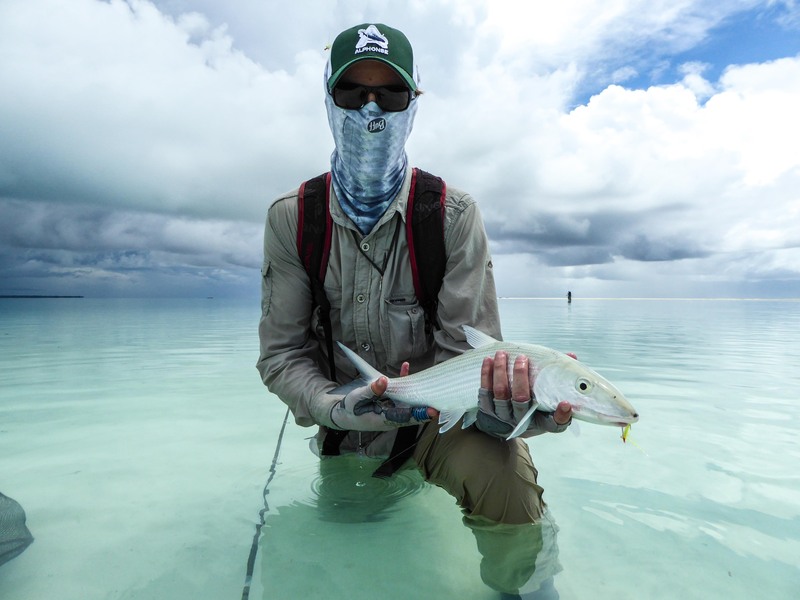 Some were familiar faces who were looking to make up for fish lost on previous trips whilst others were newcomers to Alphonse Island ready for their baptism into the world of saltwater fly fishing. Moving from neaps to springs the flats saw a gradual and then extreme variation in high and low tides. This generally correlates to one thing: The Surf. 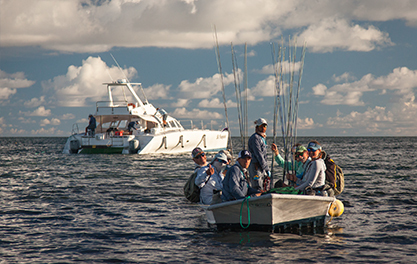 Being able to move out to the surf opens new doors to exciting and dynamic fishing. 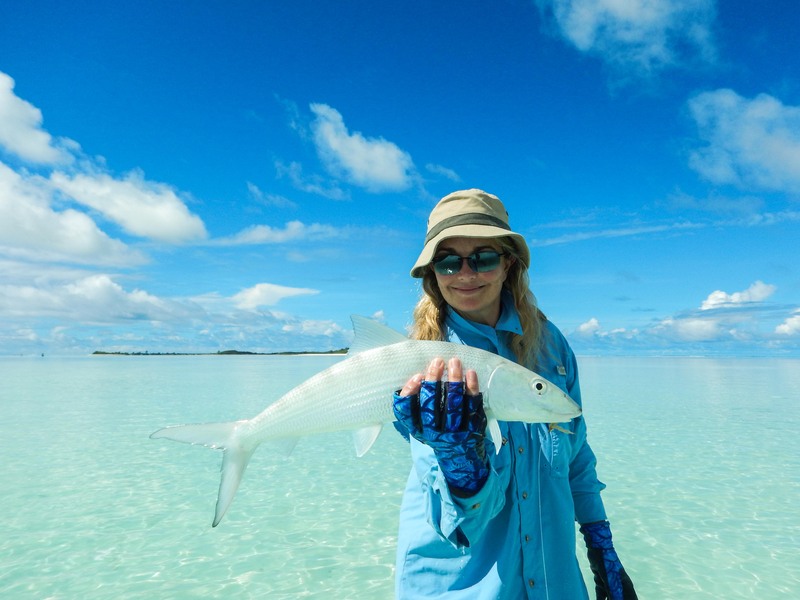 The other main positive of big tides is the classic “Bonefish drop”, where once in position an angler can experience thousands and thousands of bonefish moving past on their daily migration from high ground to deeper water. The weather played its part beautifully, with some incredibly calm days with little to no wind. 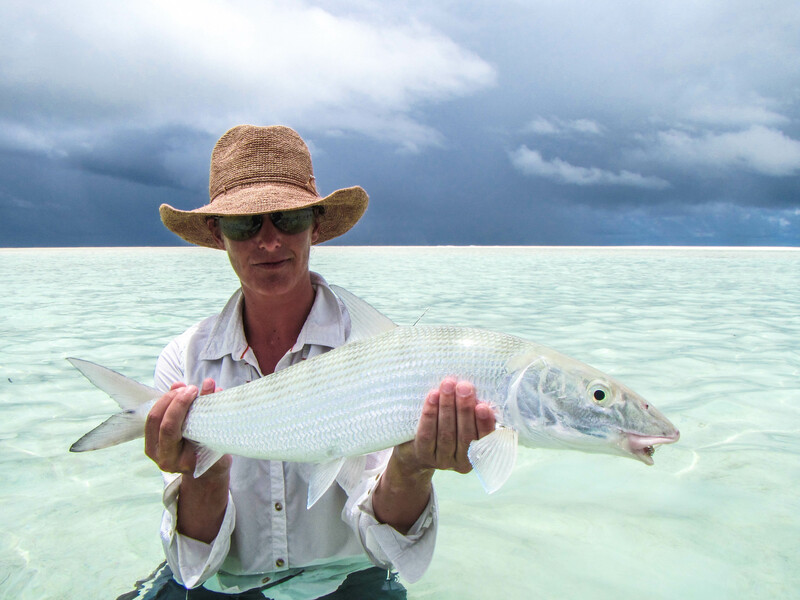 However, some dense high level cloud cover at times made spotting the bonefish that much more difficult. 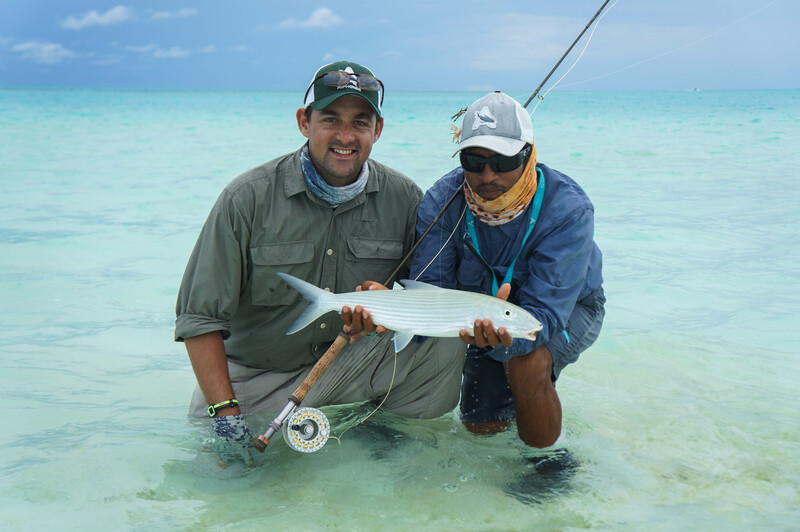 Even with some tricky afternoon or morning light the group still managed to end the week off with a notable 671 bonefish brought to hand. This number means many of the guests caught their first ever bonefish and as many joined the prestigious 20+ bonefish club. 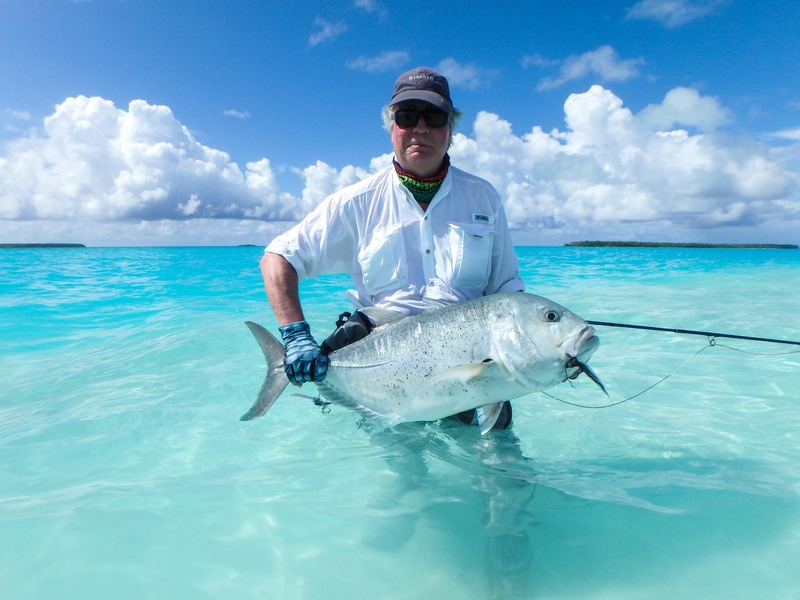 One thing this season that has seemed to go hand in hand with good bonefish fishing has been excellent chances to catch Permit. 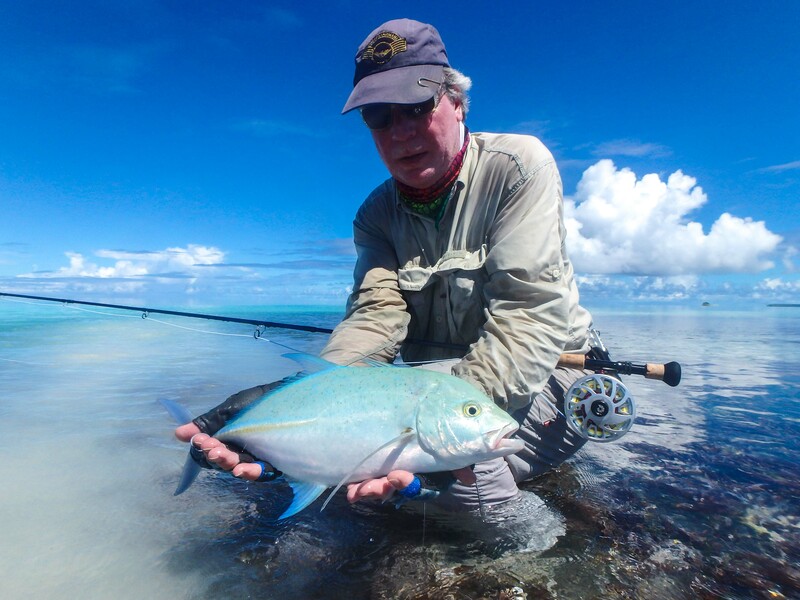 A total of 7 beautiful Indo-Pacific Permit were landed this week (this would be a record in any other previous season), David Profumo, Ted Innes Ker and Ralph Northumberland all finished the week with two each. Simon Dickson however managed the biggest Permit of the week, his fish pushing the double figure mark was a gorgeous fish and a great way for him to join our golden club. 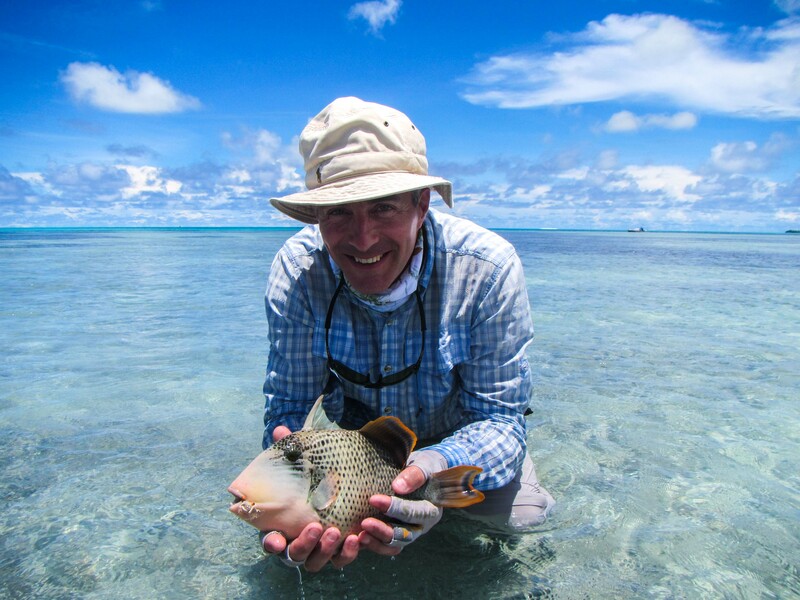 With the bonefish fishing on the flats being so good, very little time was spent looking for triggerfish, but those that did lost some battles and only a few came out on top. Caspar Macdonald-Hall was one of the lucky ones to bring a gorgeous Yellow-margin to hand. 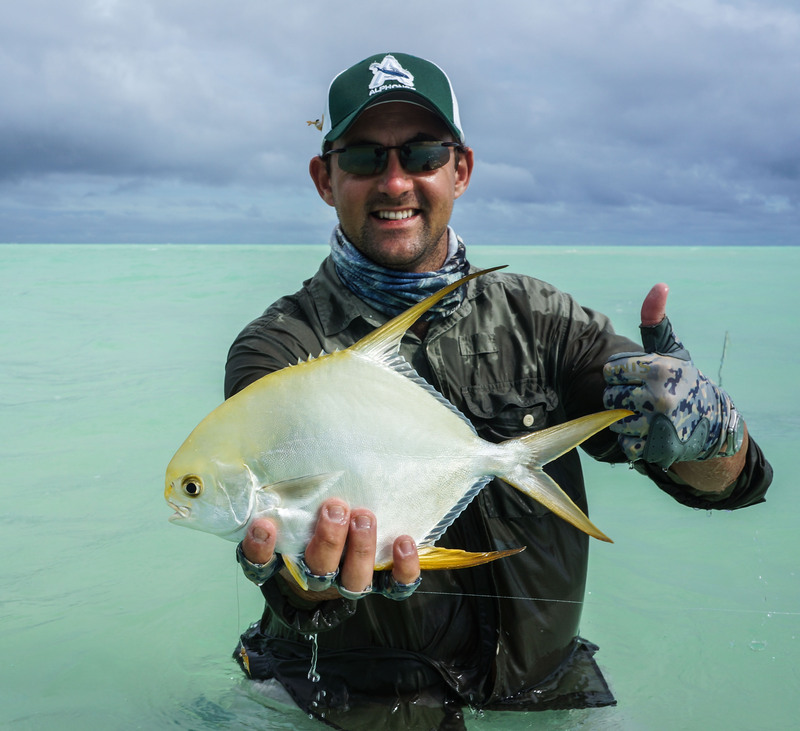 Robbie Douglas Miller was also able to fool and land his own Yellow-margin triggerfish. The flats were producing great fish, but the temptation of the deep blue was too great for some. 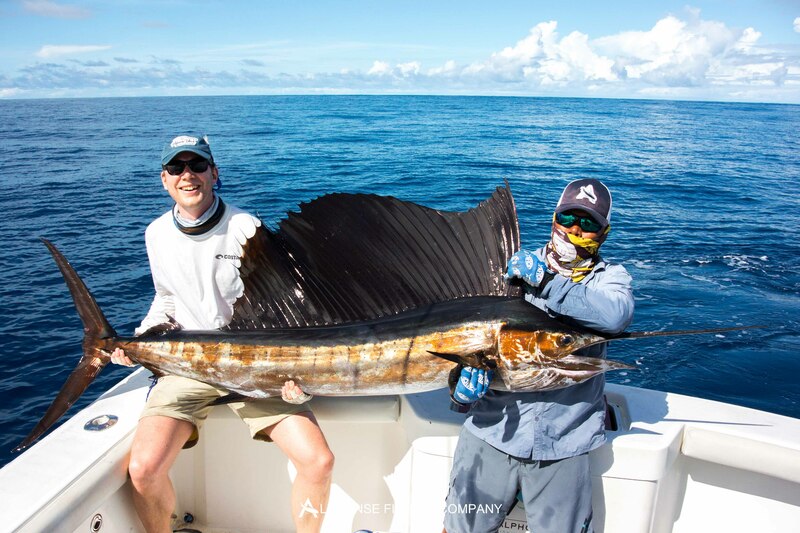 Katie Percy, Henry Reid and George Reutter all managed to jump and land a gorgeous Sailfish on fly. 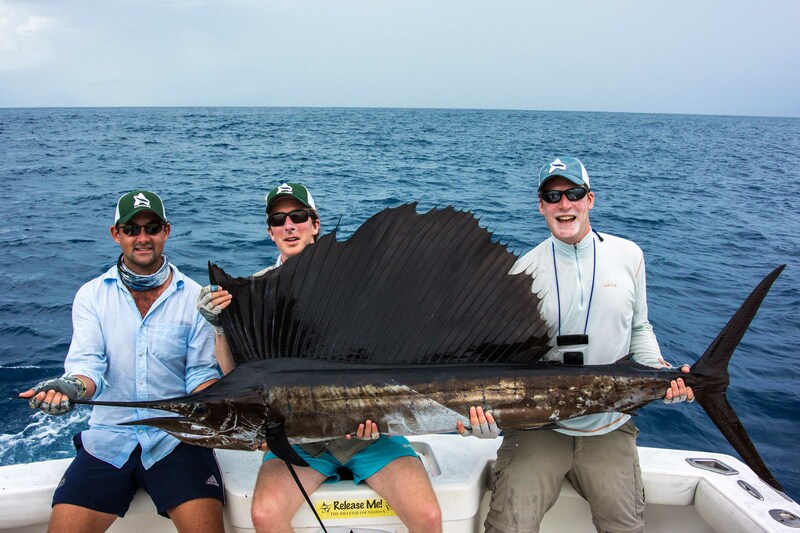 However, George Percy was our Sailfish champion by landing two equally impressive sailfish throughout the week. 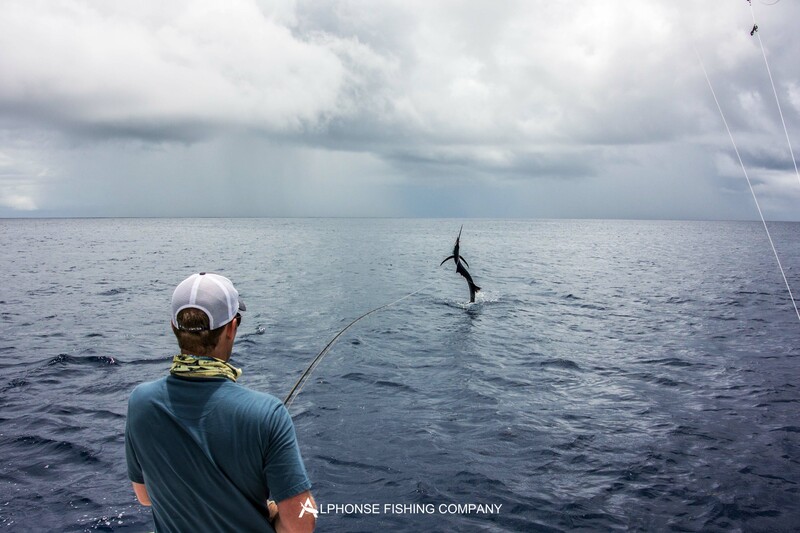 Everyone that caught a Sailfish also managed to complete a ‘Bills and Bones Slam’ by landing a bonefish on the same day. Ralph Northumberland was also successful on a bluewater trip by landing a big Wahoo with a spectacular mid-air hook set. The whole team had a fantastic week with our guests and we look forward to seeing them return to Alphonse Island in the future.